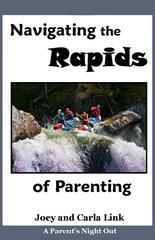 I recently had the opportunity to review Navigating the Rapids of Parenting from Parenting Made Practical. Joey and Carla Link are the parent educators who lead the video. Our oldest child is 10….I thought we had three more years before we had to worry about teenager stuff, but recently I’ve been feeling like we should get prepared. Our kids are pretty great kids, and we’d like them to stay that way. So, when we really sat down and thought about it, we didn’t want to wait to prepare for the teenage years. Wouldn’t it be better if we actually got some sort of expert advice ahead of time? Navigating the Rapids of Parenting explains phases of parenting from birth all the way to college, so we decided to try it out. Some information in the DVD was new for me, especially about when to expect certain behaviors, and why, and also that it’s normal to take many years to work on certain behavior issues. It reinforced to me that we’re doing the right thing by trying to learn about the teenage years before we get to the teenage years. I liked the explanation of the phases that a child goes through, along with what to expect, and how the parent can tackle some of those specific issues. Most of the information in Section 1 (for the younger years) was about what kind of behavioral expectations you should have for your children. I’d hoped to hear more about behavioral expectations for parents. I already knew how I want my kids to behave, but I know some parents don’t, so this could be helpful for other people as an example of one style of parenting. I do not practice first-time obedience with my children. 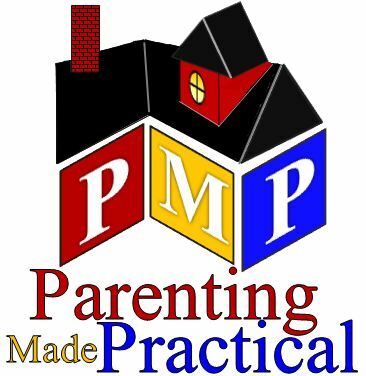 Section 2 had more about what a parent should do in response to some types of problematic child behavior. It included info about how to work things out with your spouse if you two have differing views about certain child-rearing issues. Those parts were more helpful for me as someone who decided that first-time obedience was not what we wanted for our children. I like the emphasis on building a relationship with your children and teaching them to think because there will come a time when they’re going to be independent of you. I’ve known too many parents with silent, obedient children who grow up and leave Christianity. This sad statistic was discussed in the video and the Links give suggestions about how to transition to having your children learn to think for themselves. The video uses citations to Bible verses to show examples of parenting tips, especially in Section 1. I’m wary of discipline tactics that are justified by Bible verses because of the numerous times that a man’s interpretation of the Bible has been used to justify child abuse. We’re Christian, and we want to raise our child in a way that pleases God. I’m not a pastor or a religious advisor and I’m certainly not giving any parenting advice – the Links have been doing this for 30 years and have a lot of parents who are really happy with their advice. I’m just someone who treads cautiously in this area. Again, the Links seem really sincere and caring and they have been giving parenting advice for many years, and I have heard only good things about their particular advice. The video quality was good. It’s in the format of a filmed seminar, but the camera work is good and there are good visuals. You can download a copy of the visual organizer so you can follow along with it at home. The video wasn’t boring, the pacing was good, and the visual organizer helps hold it together. I’m one of those people who gets antsy during seminar style talks, and I was ok with watching this video, which means it should be good for most other people. The examples given were clear, concrete and easy to follow. There are a lot of other accompanying materials that provide advice for child rearing that other people got to review. 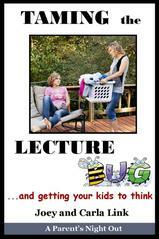 We reviewed the DVD of Navigating the Rapids of Parenting, but there is also Taming the Lecture Bug and Getting Your Kids to Think. You can follow the link at the end of this post to find a lot more reviews. I appreciated the overview of the phases of childhood disciplinary development and the fact that the Links addressed the fact that many children grow up to leave Christianity when they attend college. Overall it piqued my interest and got us started on the road to learning more about how to parent as our children age.